Starting with the release of tvOS 10.1 and the launch of the new TV app for Apple TV, the behavior of the Home button (the one looking like a TV icon) has changed. Prior to this update, pressing the Home button would take you back to the main Home screen. But after the tvOS 10.1 update, pressing the Home button takes you to the new TV app. This can bring some confusion or downright frustration, especially if you’re not planning on using the new TV app. Fortunately, as someone pointed out to me, there is an easy way to remap the Home button so it takes you to the main screen again instead of launching the TV app. 1) On your Apple TV, go to Settings > Remotes and Devices. 2) Scroll down and highlight the Home Button option. 3) Press on the touch pad of the remote once to have the Home button mapped to your Home screen, as seen on this screenshot. 4) Press the Home button, and it should take you back to the Home screen. Should you want to revert back the mapping of the Home button to the TV app, simply follow the same directions, but make sure the Home button is mapped to the TV app instead, as seen below. Because most of my video streaming apps don’t support the new TV app yet, there is no reason for me to use the default setting. If that was to change in the future, I’d of course reconsider remapping the Home button to the TV app. At the end of the day, there isn’t really a best way to go about it. 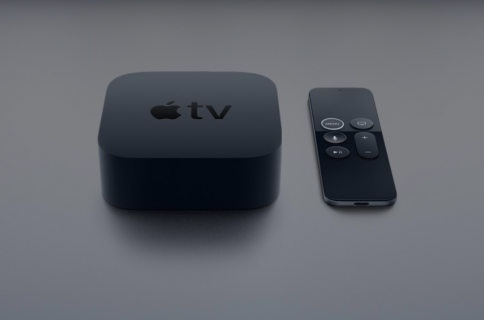 It really depends on your usage of the Apple TV and specifically the TV app. So, what do you have it mapped to do?